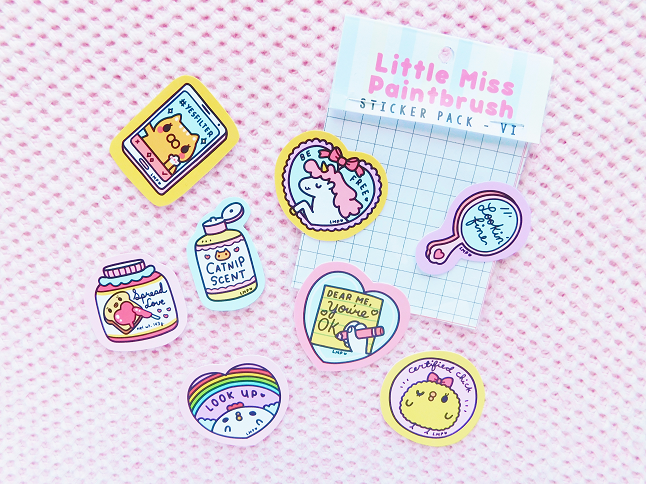 Today I have a sticker haul from one of my favorite artists, Chichi! 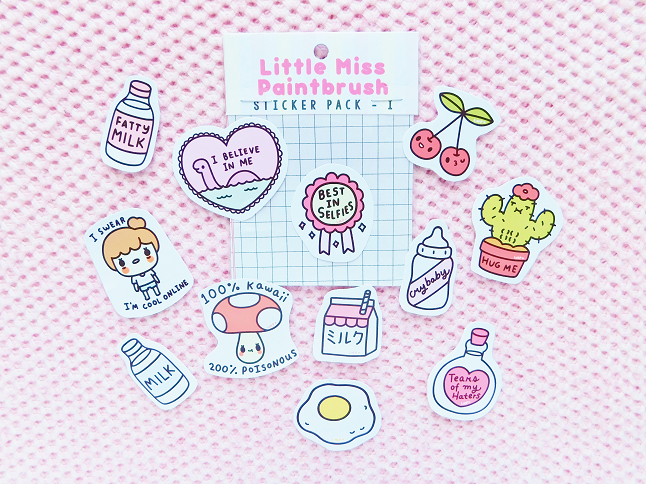 I've been following her since I found out she's the one who creates's the adorable illustrations for Japan Lover Me. 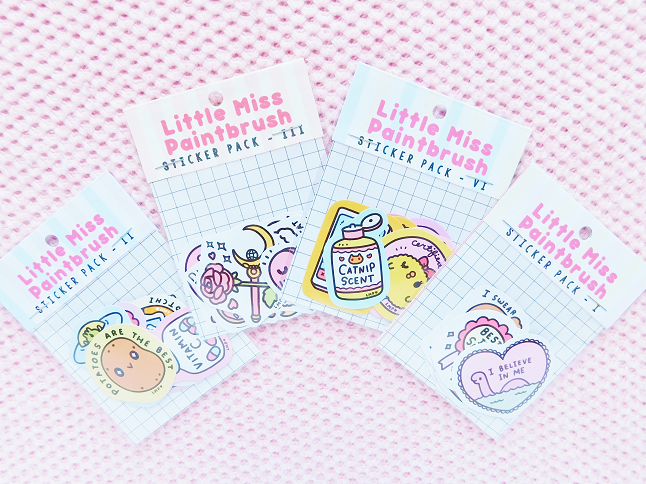 I've been eyeing Chichi's Little Miss Paintbrush stickers for a long time but finally decided to place an order when she released her first zine. I'm a sucker for zines! 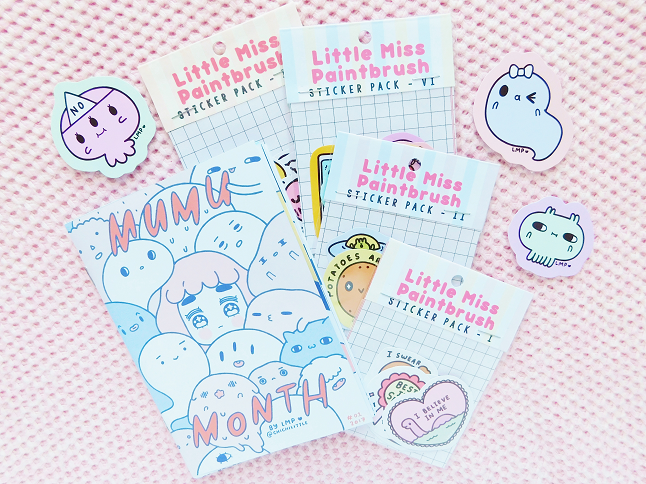 Her shop has tons of stickers and prints available but I just bought the zine and a few sticker packets. 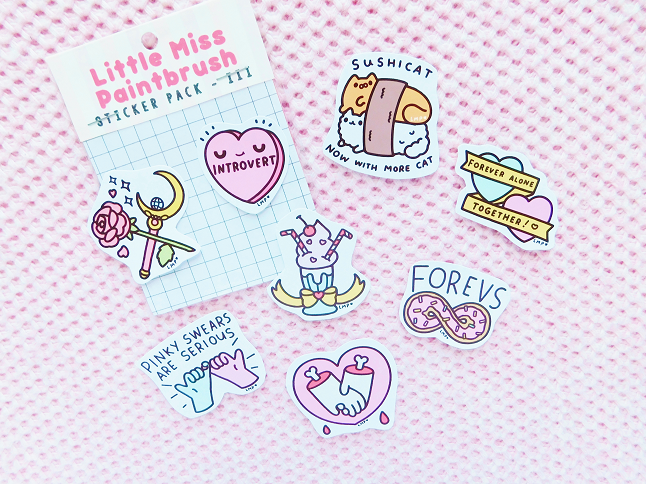 If you want to place an order send a message on the Whimsicute Instagram aka Chichi's shop. My order took 2 weeks to arrive (I live in the US and the shop ships from the Philippines). My order came a handwritten thank you note and lots of extra stickers! So sweet! 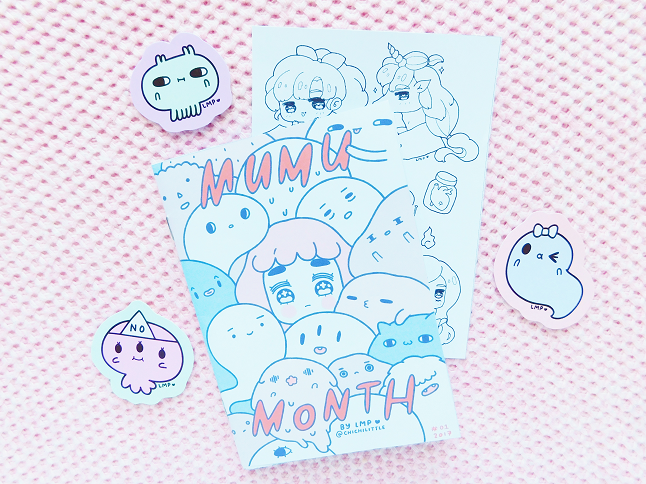 The zine is called, 'Mumu Month'. Mumu means ghost in Filipino so it's 'ghost month'. 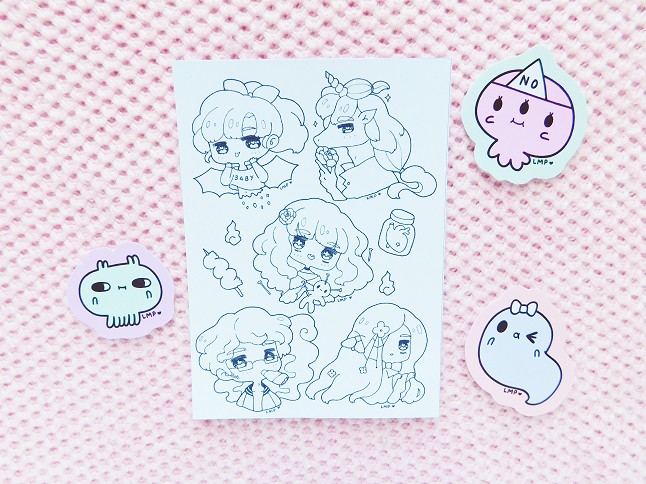 The zine is 24 pages also came with a coloring page and pastel ghost stickers. 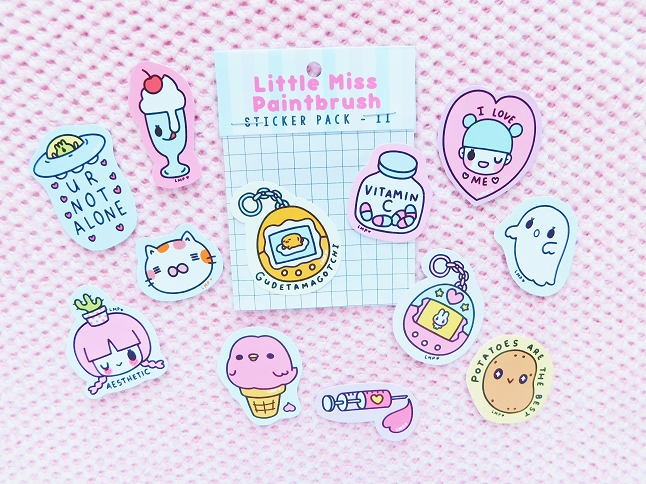 If you read my October favorites then you already that I used some of these stickers to decorate my bullet journal. I got sticker pack 1,2,3 and 6. 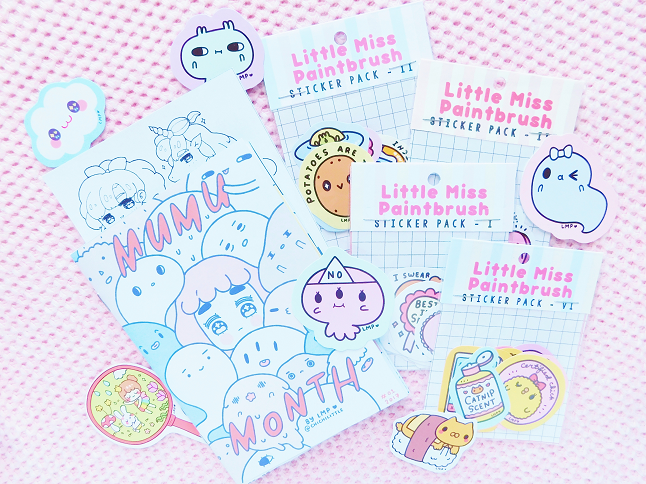 The designs are so cute it was so difficult to choose a couple packs. On my next order, I will definitely be picking up more stickers.